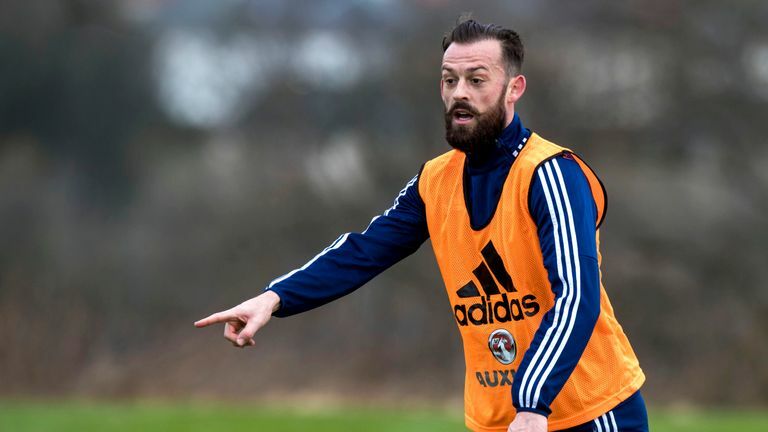 Scotland's assistant coach James McFadden says they need to win their next two games in the UEFA Nations League for their best chance of qualifying for a national tournament. Scotland have not been at a major finals since 1998 and currently sit on three points along with Albania and Israel in their Nations League group. They lost 2-1 in Israel in their last match but will face the Israelis once again in the campaign on November 20 at Hampden Park after they play Albania on November 17. When asked how important these two matches are, McFadden said: "It's obvious. We need to win the two games, I know there are other permutations that if you don't win the first game you can still qualify. "However, we are going to try and win the two games. It is now or never because if we don't win the two games then we don't win the group. "We need to be concentrating on the qualifying campaign. It certainly is now they turn up, we focus on the two games at hand with the hope and expectation that we win it." After their disappointing defeat at Israel's Sammy Ofer Stadium, fans were quick to write the Scots' hope of topping their group and progressing, something McFadden was quite shocked about. "It always is [negative after a loss]," he said. "We have not qualified for 20 years, we are desperate to qualify. We feel it, we are fans as well, we feel it. "So I was surprised at the reaction to be honest with you but it happens. Sometimes we go over the top when we do well when we actually haven't achieved anything and we go over the top when we don't. "We have got to find a balance but we have to put the performances on the pitch and get a result and hopefully we can justify the hope and expectation. "We can look back at the Israel away game; we can say it was a real turning point for the future of the game."